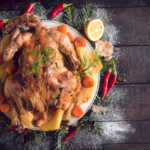 how long do I cook a turkey Archives - Hilltop Acres Poultry Products Inc.
Are you wondering how to cook a turkey? In this blog we will discuss several ways that you can cook a turkey. We will also share some tips and tricks on how to have that perfect bird presented on the table.